When your team is productive, the whole company wins. Morale goes up, as does output, and your bottom line improves. However, all kinds of small value tasks can decrease efficiency in the workplace, from a slew of emails to unnecessary in-person meetings, to the wrong tools that slow us down. Fortunately, we’re in 2018, and there’s now a tool for everything. If your company’s total output isn’t meeting expectations right now you’ll want to keep reading! One of the things that can really slow your team down is a long brainstorming session that doesn’t even always bear fruit. Imagine it: you’ve brought your team together into the same room for an hour, all in the hope of engaging their creative brains and generating some awesome ideas. The problem is that we’re not always feeling creative and can’t just switch ourselves on at a set time. As a result, these planned brainstorming sessions don’t always work. 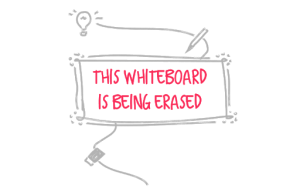 Introducing Deekit, an online whiteboard tool that allows your team members to add ideas whenever the creative light bulb goes off in their heads. When they’ve got a great idea for a project, they just add it to the board. These ideas are shared with the whole team, and over time a project can start to take shape. One of the things that can slow a team member down is an inability to do the work they need to do. Not because they don’t have the talent, but because they don’t have the right tools. If you put the right tools in front of them, their productivity will increase. For example, Design Wizard is a library rich in content – graphics, illustrations, videos and premium images – that will make life so much easier and productive for anyone in charge of your visual content. Whether they need to find templates or images to create Youtube content, loyalty cards or LinkedIn Ads, just to mention a few, they will be sure to find what they need all on this one website. Give people the right tools and they will work their magic. If your team still isn’t on Google Drive – or “The Drive” – now is the time to hook them up. Google Drive – which includes Google Spreadsheets and Google Docs – is a wonderful tool that brings everyone together onto the same page. Team members can easily share, edit and comment on documents, which helps to speed a project up. Instead of passing documents back and forth via MS word, your team can upload a document to Google once and edit it at will. Productivity often goes down whenever communication is poor. Let’s say you’ve got two team members who are on different messaging apps. As such, they don’t always relay messages to each other as soon as possible. Instead of a copywriter letting the editor know as soon as they can that they can take over on a task, they wait 2 days to message them. Slack is a messaging platform that improves efficient communication among your team members. Conversations are neatly organized into channels, and it’s super easy for your team to share documents in an instant. The whole process speeds up. Moreover, Slack allows your team members to send each other funny gifts to keep morale up on those slow Monday mornings. Zoom is a piece of video conference software that can replace the need for physical, in-person group meetings. Work meetings cost small businesses both time and money. Imagine what tasks people could be cracking on with if you hadn’t dragged them all into an office for a few hours? Worse still, no one seems to like meetings. At the same time, there is data that shows 53% of millennials actually find meetings productive. While you clearly can’t dispense with meetings altogether, it’s a good idea to use a tool like Zoom for conference calls. This means there’s no need to drag people into the office for a meeting they’re not looking forward to. To make sure the calls are as productive as possible, send a memo to each team member about what is expected. Some of the pet peeves people have about conference calls are people not putting themselves on mute, poor reception and people who dominate the call. If you can avoid these issues, there’s no reason why your video meetings can’t be productive. 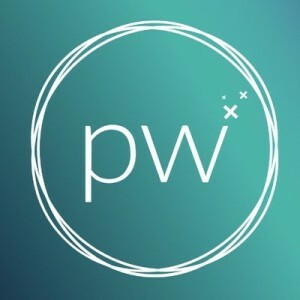 Pik Wizard is a free stock images library that’s ideal for any team that needs high quality images fast. Instead of wasting time trawling through Google Images, or paying for a premium product, you can get your team on Pik Wizard. It’s easy to use, comes with a precise search engine, and is home to an assortment of images and wallpapers. Notion integrates with Slack. It’s an all-in-one solution that makes it easier for project managers to liaise with team members, thus speeding up a project. It lets the project manager designate responsibility and track the progress of team members so that everyone stays on track and deadlines are met. It incorporates databases, spreadsheets and docs and has a variety of pricing plans that start out with a free version. 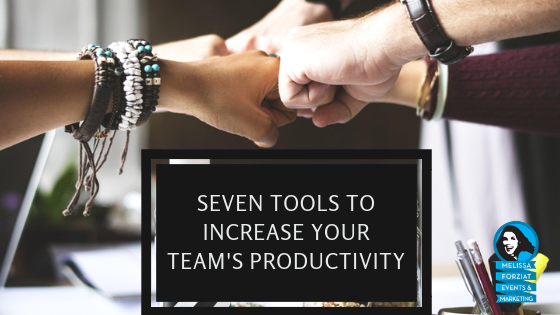 These are 7 tools that will increase your team’s productivity. They’re all free, easy to use and together can make life in the workplace so much better and more efficient. Michelle is the Marketing Associate at Design Wizard. She spent four years studying Media Studies in Dublin Institute of Technology before completing her Master’s Degree in Marketing and Management in University College Cork. She’s delighted to work with such an exciting design software company and is eager to help Design Wizard continue to grow. Michelle is a dog lover. She enjoys going on hikes with her four-legged friend, traveling and going to the cinema (mainly for the treats).